Daniel Marlatt, a mixed-media textural visual artist, photographer, and the owner of the Miskwaa Art Studio & Gallery located on the Historic Miskwaa Ziibi River in the Trent Lakes. I enjoy incorporating natural elements in my work such as sculpted, spiritual stone from the river. The pieces I create are drawn from my past- and present-life experiences, then I transfer them to interesting land- and lake-scapes. 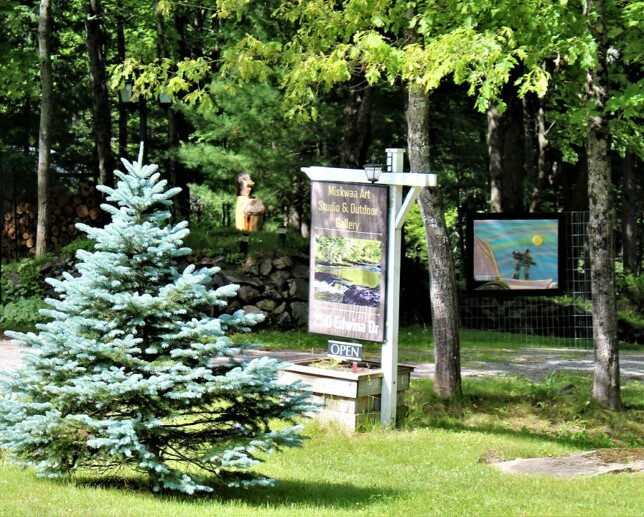 MISKWAA STUDIO & OUTDOOR ART GALLERY IS ON THE ARTS & HERITAGE TRAIL.